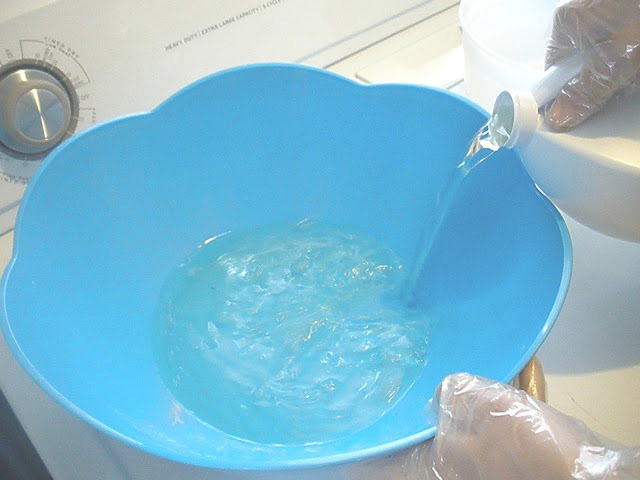 Put your gloves on, rubber gloves are ideal (anything else might disintegrate). 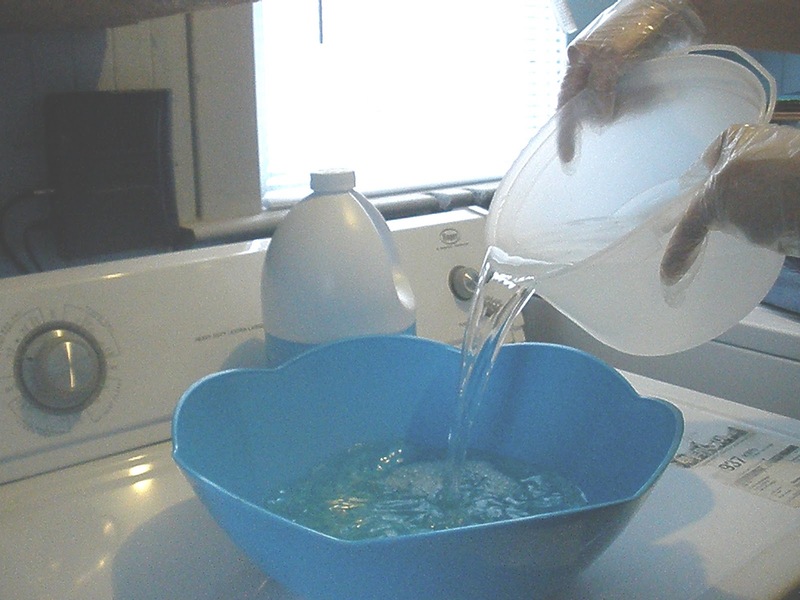 Pour 1 part bleach into 2 parts water in a large bowl, bucket, or bathtub. 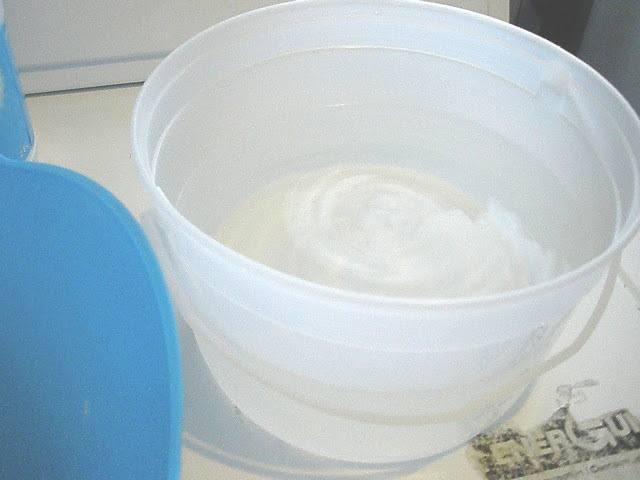 Have another bucket or a sink ready with water to rinse the bleach off before you toss them in the washer. Make sure you place your jeans into whatever you use before you start just to make sure its big enough for them. 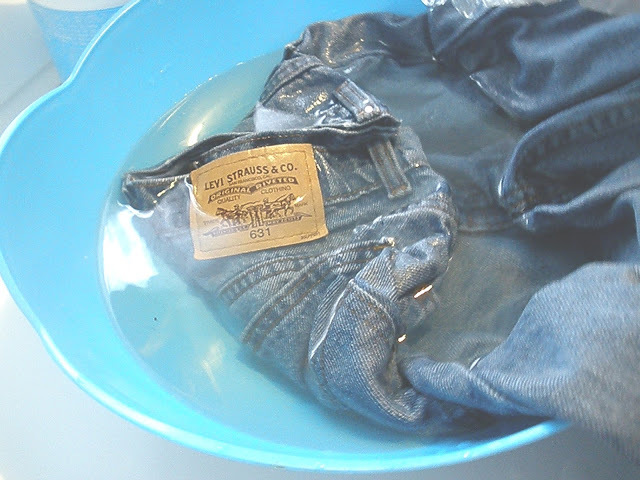 Place your jeans into the mix and make sure there is enough liquid to cover them completely. I only wanted the top half of my jeans to be bleached out so I carefully put them in to where I wanted. Keep in mind that liquid seems to seep a little higher than the water line. 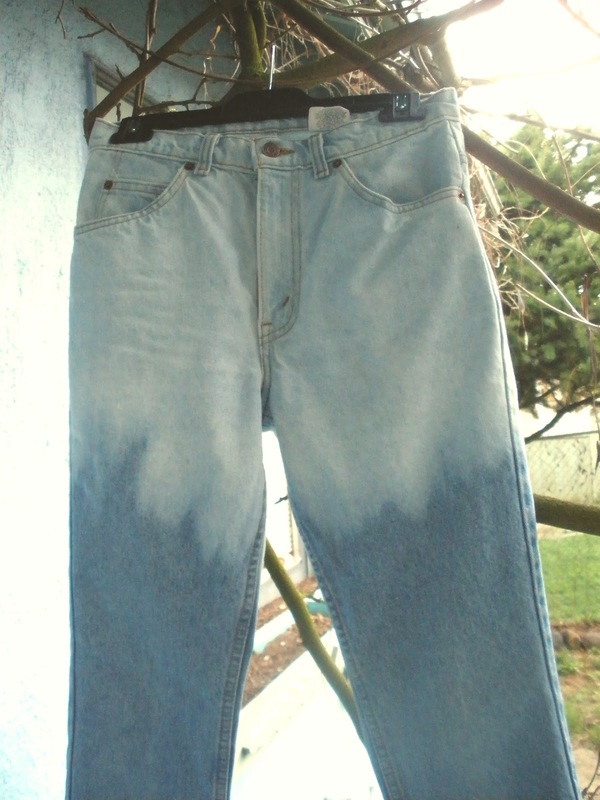 Its okay if it gets on other unplanned spots, this will only give your jeans more personality! Depending on how light you want your jeans it can take anywhere from 20-40 minutes. Just make sure to keep an eye on them every 5-10 minutes. I wanted them to be almost white so I left them in for 40 minutes. 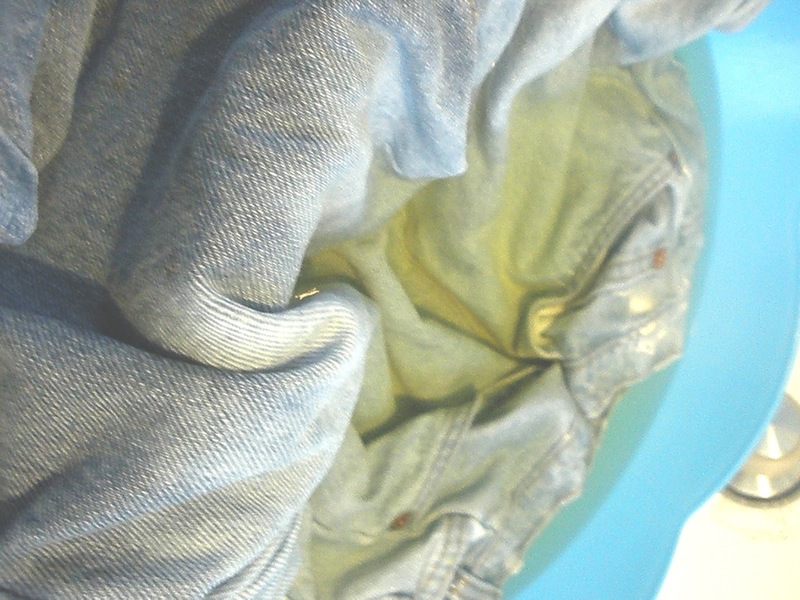 You will start to see the water turn green when your jeans start to lighten. Once you're happy with how light they are take them out and put them into another bucket or sink to rinse off some of the bleach. 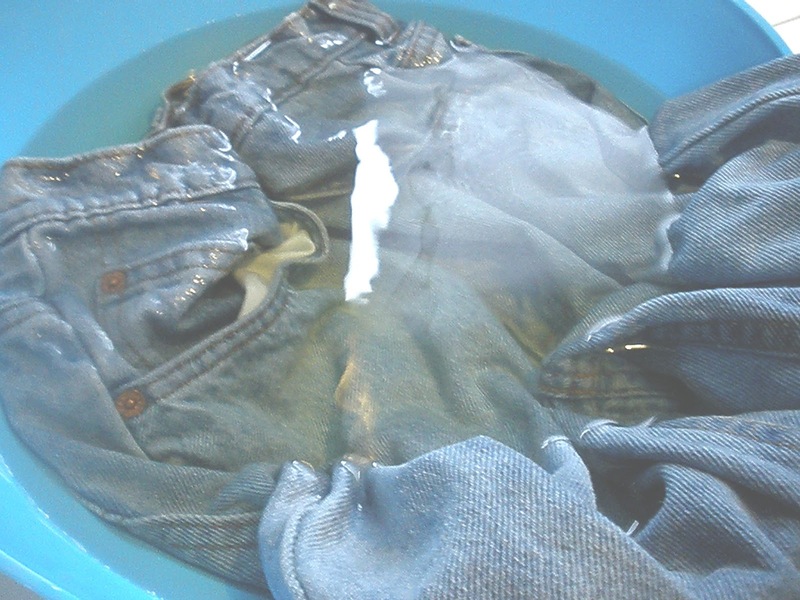 Wring them carefully and toss them by themselves into the washer with detergent to do a full cycle. Dry then wear! 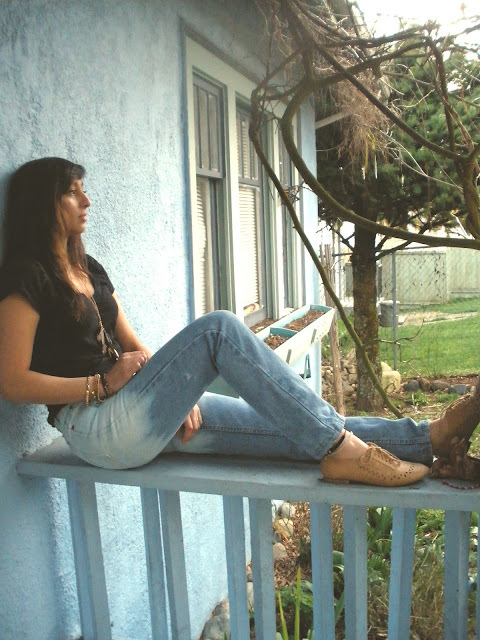 I found this pair of Levis at the thrift store for only $6. High waisted and straight legged. I wore them a few times before I committed into bleaching them out. I loved how they turned out and will be sporting these through spring into summer for sure. Now go start your own bleach dip dye DIY! Posted by SCG at 8:33 p.m.